Did You Visit San Francisco Zen Center? Name drop here! Let us know the name(s) of those who took great care of you—and why their service was so special. What date did you visit? Let San Francisco Zen Center know why they're great—and if there's anything else you'd like from them. May we share your email address with San Francisco Zen Center please? Thank you! We'll pass your feedback along to San Francisco Zen Center and we may feature your kind comments on Kynder! You'll feel the serenity the moment you step into the Zen center, away from the bustling streets of San Francisco. 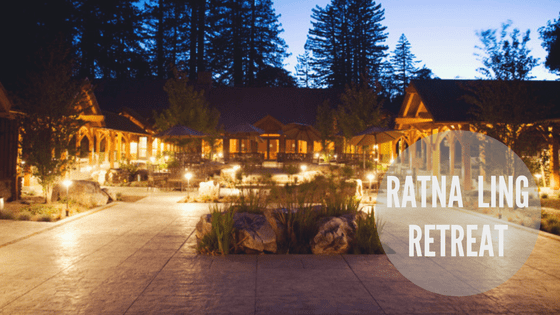 But it's more than serenity, you'll receive the warmest and kindest of welcomes as you begin to decompress from the stresses of daily life. You'll remember how wonderful it is to breathe deeply... your stay at the SF Zen Center brings an opportunity to relax, to meditate, to read a good book surrounded by the natural beauty of the courtyard. 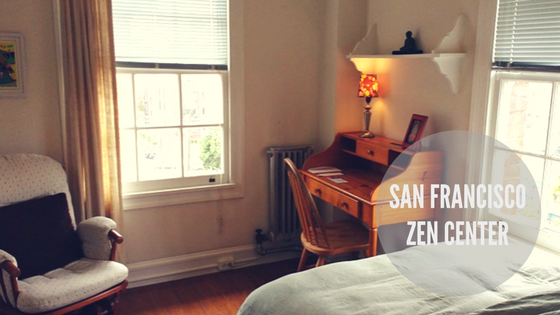 Located in the heart of San Francisco, the Zen Center offers seven charming guest rooms, most with shared bathrooms. Breakfast with the resident community is also included. This allows you to experience life in a Zen Buddhist temple... and if you choose, you are welcome to join the daily morning meditation to begin your day surrounded by loving kindness, as well as other Zen Center activities. Gourmet vegetarian cuisine made with organic grains and produce from their local farms including their own Green Gulch Farm. Gluten/wheat free and vegan/dairy-free available. Fair trade, ethical dairy, locally sourced products. All kitchen and garden waste is sent to Green Gulch farm for composting. Toilet paper, napkins and paper towels are purchased from recycled paper sources and use of plastic products is minimized. Low flow toilets and showers plus timed irrigation systems, a solar-powered water fountain and use of mulch to decrease water usage in the garden. Solar panels on the roof and a new two zone heating system significantly reduce energy usage. Bicycles a primary source of transportation as well as carpooling and a communal car for work-related tasks. Organically cultivated orchids, wisteria, Japanese maples, and black bamboo decorate the Center and the trees in front were planted in conjunction with Friends of the Urban Forest. Rooftop planters provide altar flowers, the courtyard includes blueberries, lemons, pears, apples, as well as seasonal blooms. Hives on the rooftop provide a sanctuary for honey bees which pollinate the gardens and provide a source of local honey. Sidewalk gardens on their adjacent streets allow more pervious water absorption and a greater green space in the neighborhood. Staff Benefits: Fair wages for salaried employees, Full minimum hourly wage for tipped and non-tipped staff, Comprehensive training program, Health care option for hourly employees, Paid sick days (or time off in lieu) for hourly employees, Paid sick days (or time off in lieu) for salaried employees, Retirement plan, Advance scheduling for all employees (at least two weeks in advance), Fair overtime practices, Fair maximum work hours, Strong upward mobility opportunities. Breakfast included with the resident community. Delicious vegetarian meals are available for lunch and dinner by donation. Most rooms share a bathroom, there is one room with a private bath. Check-In and Check-Out: Guest check-in is at 3:00PM (or earlier if the room is ready) and check-out is 11:00AM. Because they are a Zen temple, their monks, residents, and staff keep a strict schedule. If you plan to check in later than 9:00PM, please let them know when you make your reservation so they can plan to have someone available to answer the door and give you your keys. They cannot accept any arrivals after 10:30PM. Once you have your keys, there are no restrictions about when you can come and go. Varies by room type and single or double occupancy. 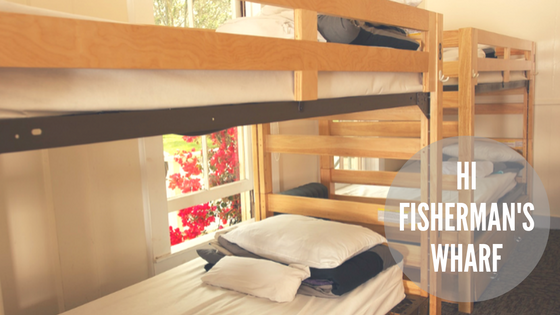 For bookings of a week or more, they offer a discount of 10%. CONFERENCE ROOMS & SERVICES San Francisco Zen Center invites you to hold your next event in the peaceful setting of an elegant Victorian house right next to the Zen Center (see website for rates and availability). Tea and coffee will be provided upon request. Vegetarian lunch prepared in the Zen Center kitchen is available to conference participants in Zen Center's spacious dining room. Internet access is available. Meditation instruction can be arranged, and the morning and evening periods of zazen (sitting meditation) are open to all. Thank you kind traveller! You're a star.